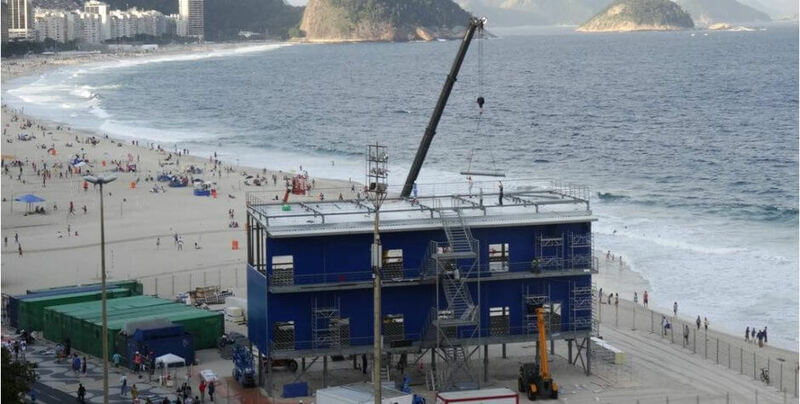 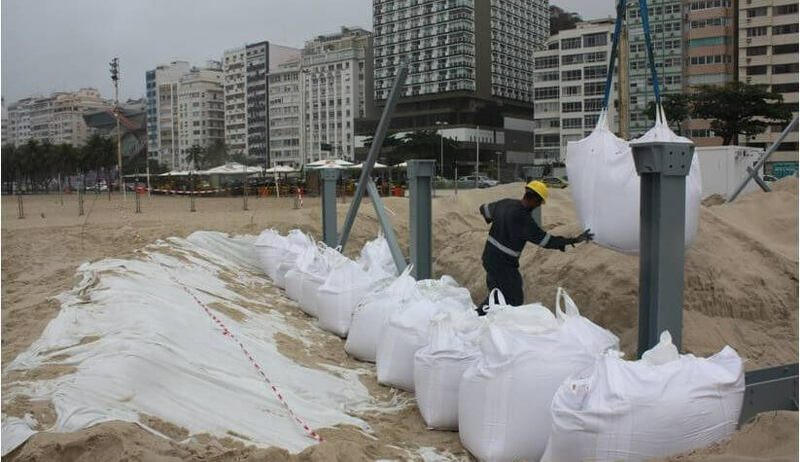 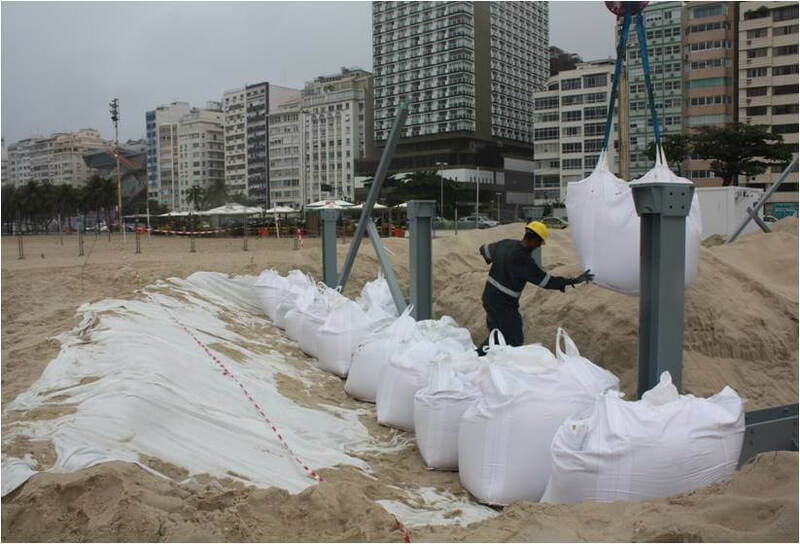 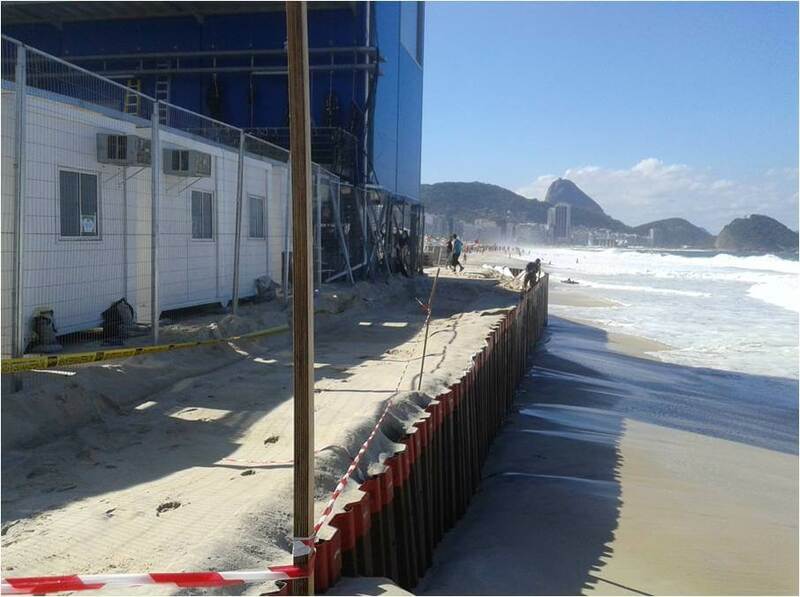 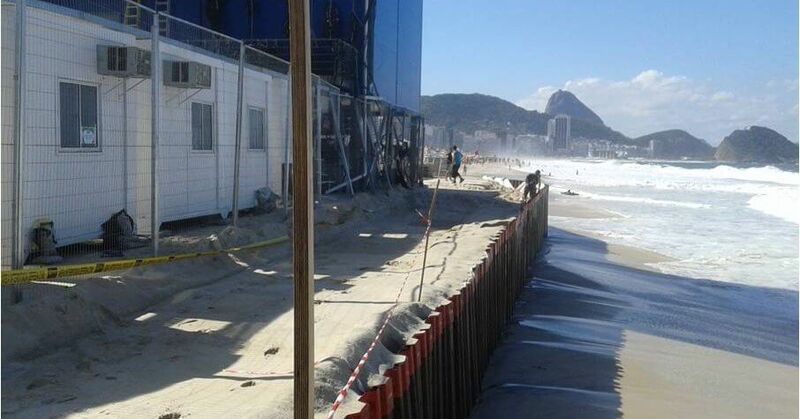 The project is located in Copacabana Beach, Rio de Janeiro, Brazil. 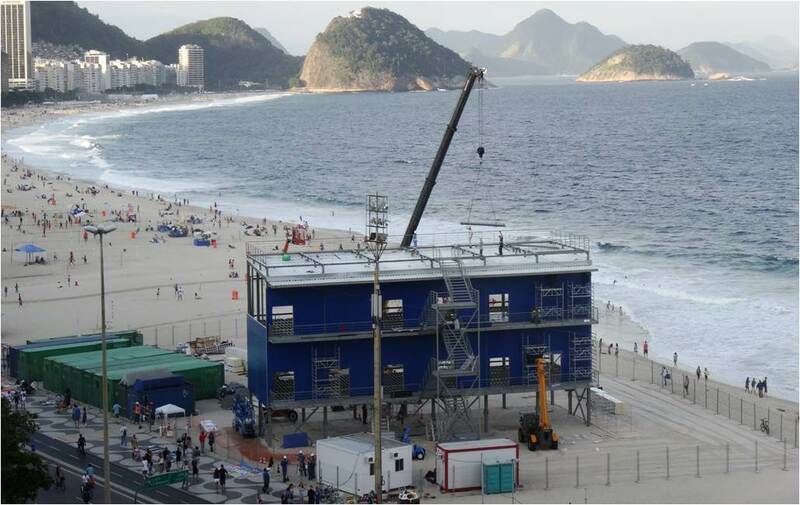 The TV Tower is a temporary two-storey elevated steel structure, used by major international TV channels during the 2016 Rio de Janeiro Olympic Games for broadcasting and interviews. 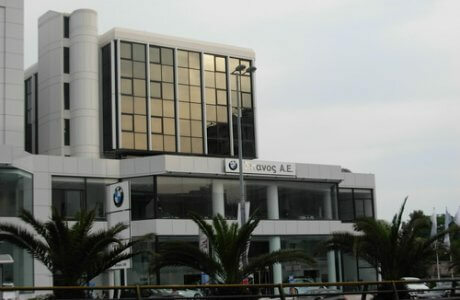 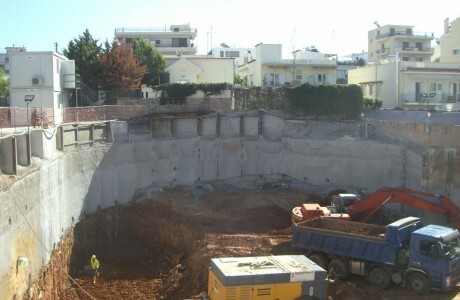 The plan dimensions of the building are 10×30 m and its height approximately 13 m. The structure is supported by 16 columns on a strip foundation. 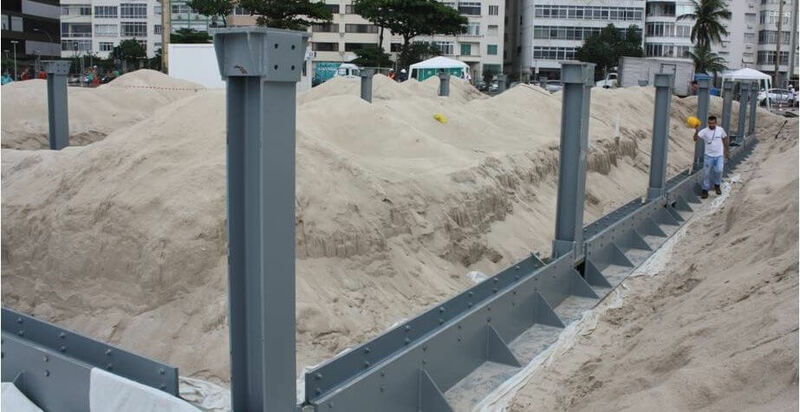 The strip foundation is bearing 1.00 m below ground level on well compacted dense to very dense uniform fine sand. 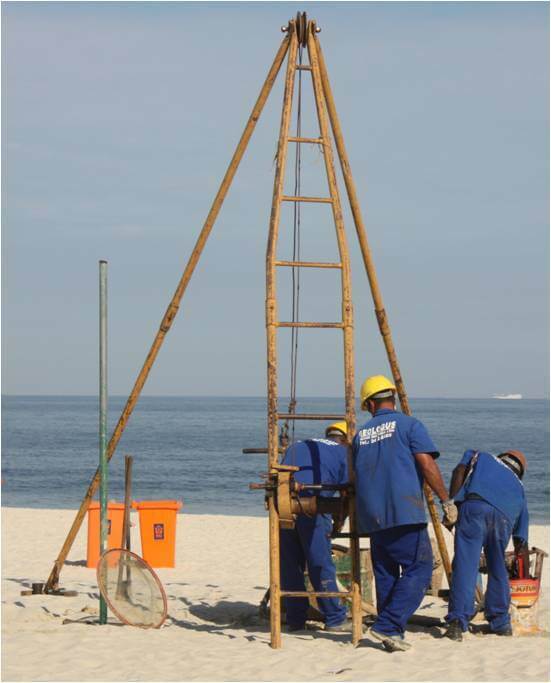 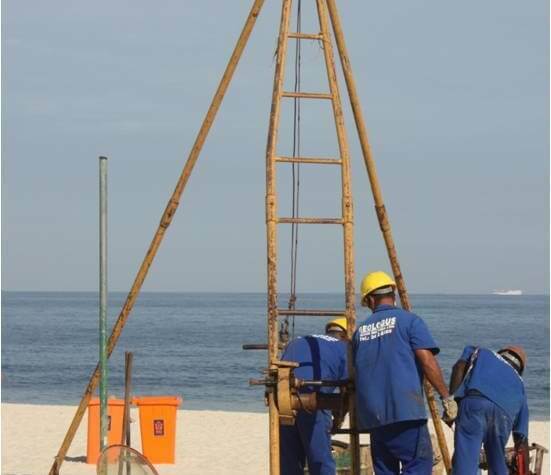 Scheduling, supervision and evaluation of the results of a geotechnical investigation consisting of 6 exploratory boreholes. 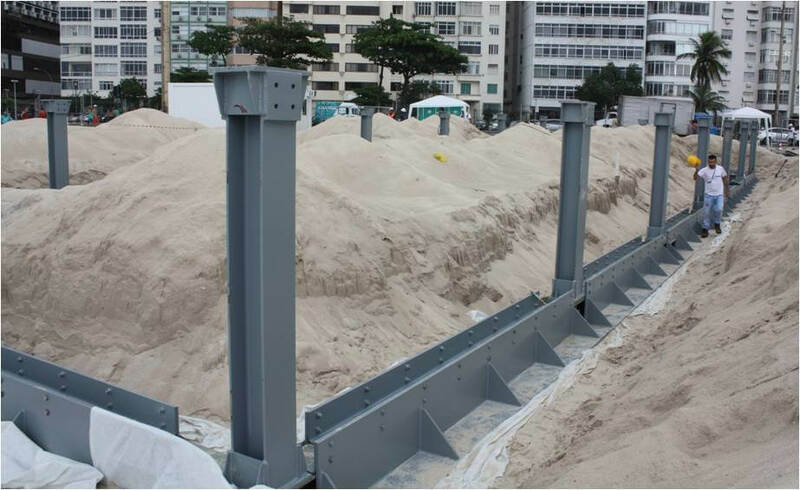 Design and supervision of the foundation and of the scour protection measures, which included a non-woven geotextile, placed at the bottom and slope of the seaward side of the excavation and big bags filled with sand placed on either side of the seaward side of the strip foundation as well as a row of sheet piles along the seaward side of the building.